JUSTVOTE is a simple, cost effective interactive handheld voting system. 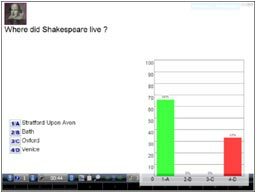 Whether you are chairing a quiz or conducting an enaging interactive question and answer session at an event or conference - JUSTVOTE technology and software makes us one of the world’s leading response systems. JUSTVOTE is one of the most cost effective Radio Frequency (RF) response systems currently available with prices starting at only £319. Each system comes complete with Site licenced software, Receiver, Master handset, Student handsets, 3 years warranty. 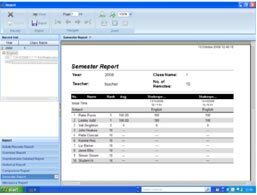 JUSTVOTE is designed to work seamlessly with Microsoft PowerPoint so a novice user can be writing questions in seconds with the simple add-in to PowerPoint. No need to learn a complicated authoring package. JUSTVOTE uses Radio Frequency (RF) technology that provides an increased range and negates the need for line of sight between the receiver and the handsets. This ensures that answers are registered first time. We sincerely believe that what makes technology really stand out is the ability for all levels of user to be comfortable with it as quickly as possible. With this in mind JUSTVOTE is designed to be used effectively within 30 minutes of opening the packet. When we were designing JUSTVOTE we wanted to ensure that the user was presented with an interface that they were familiar and comfortable with so JUSTVOTE has a Windows look and feel that allows the user to use the system without learning new icons or symbols. The handsets themselves are ergonomically designed for use by both adults and children. We believe so highly in our product that each system comes with a full three year mechanical failure warranty. 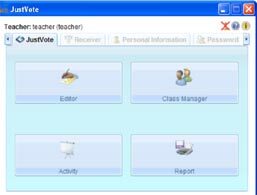 JUSTVOTE has been tested for compatibility with both Microsoft Office 2010 and all Microsoft Windows 7. 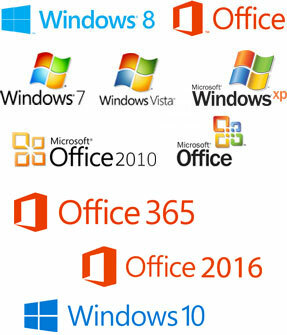 However it is also designed to work seamlessly with older version of both Microsoft Windows and Microsoft Office products therefore ensuring maximum interoperability with your systems. If you are looking for a simple system for the occasional quiz or survey or a system that can be used with 100’s, or even 1,000s, of users and compile detailed and varied statistics on their responses then JUSTVOTE is the product for you. With prices starting from £319 for 5 units - JUSTVOTE is one of the most cost effective voting system solutions on the market.